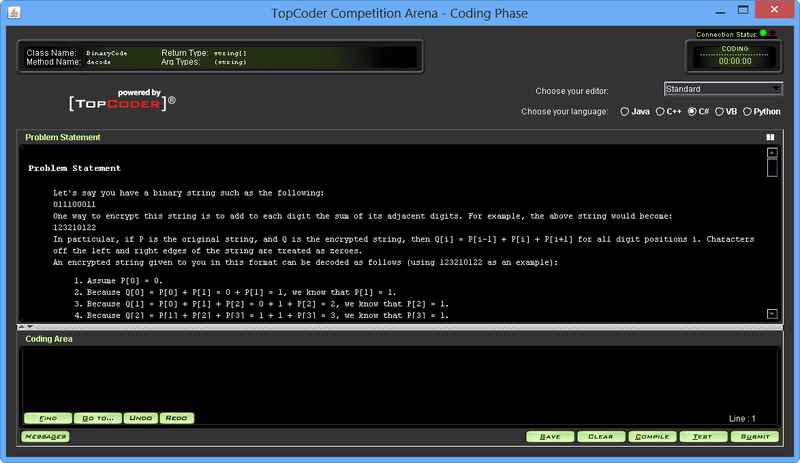 If you read my previous post (Learning Algorithms with TopCoder – Getting Started Guide) you are probably motivated in solving TopCoder problems and putting yourself under test. You probably created an account and tried the arena and you quickly realized that the experience is not that great. Fortunately, there is a solution to these problems using some arena plugins. It is a little bit annoying to setup but once done your coding experience is vastly improved and you can finally focus on writing algorithms. 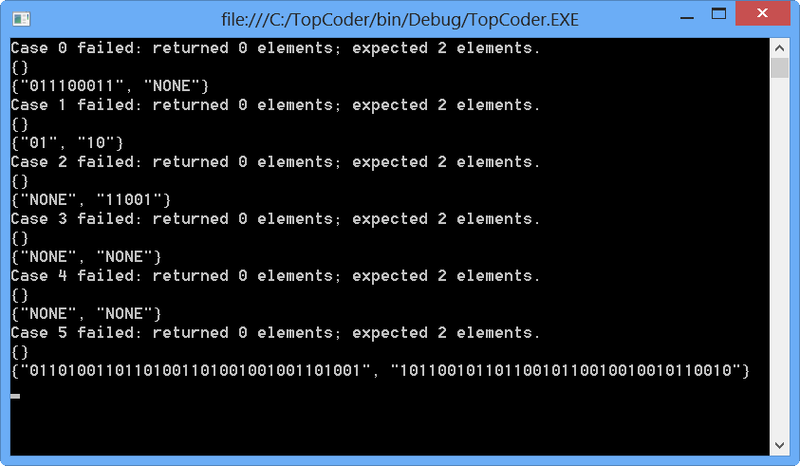 The folder contains an empty Visual Studio .NET 4.5 C# console application and a folder jars with the plugin code. 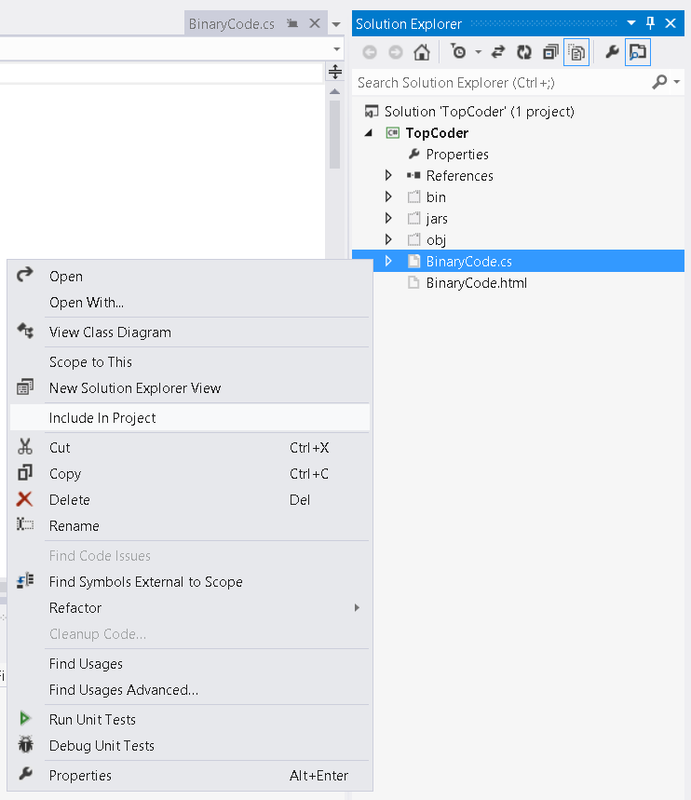 In this post, I want to explain step by step how to configure the TopCoder arena to be able to start solving SRM problems in TopCoder using C# and Visual Studio. Launch the arena and open the Editor options. 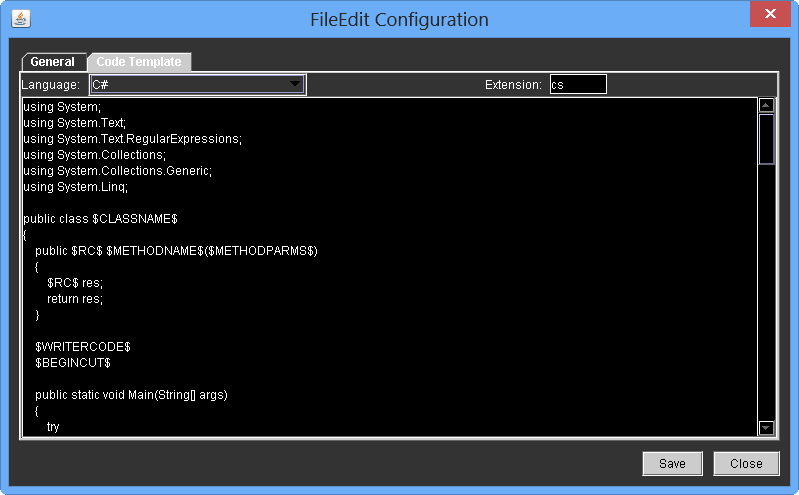 Select the new editor and click Configure. Press OK and then Click Configure. 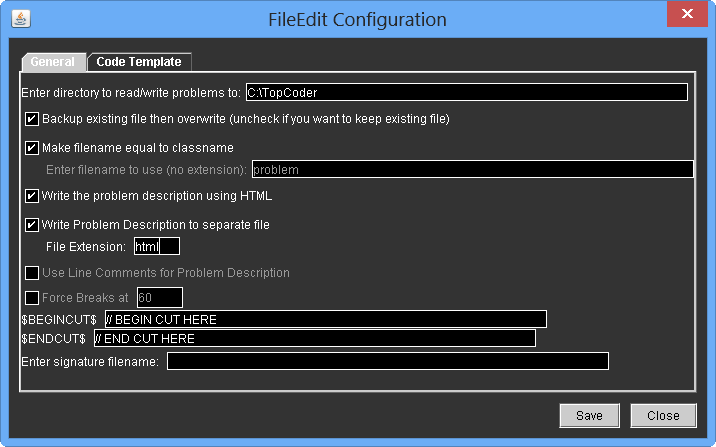 Specify the enter directory to C:TopCoder, check “Write the problem description using HTML” and check “Write the Problem Description to separate file” with extension html. 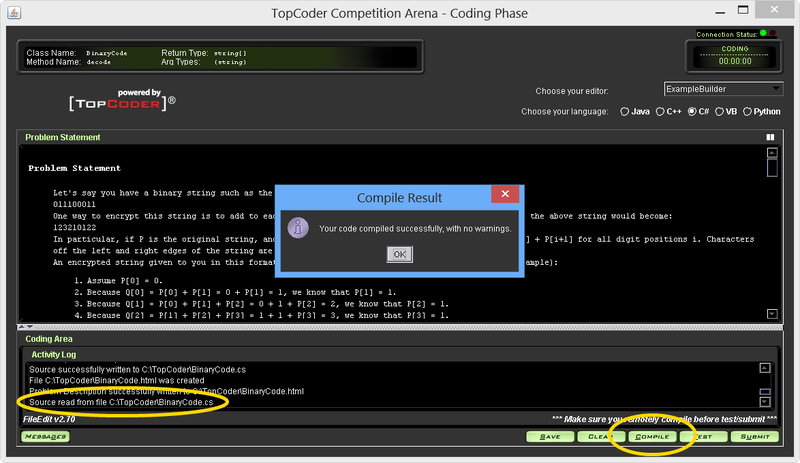 Click the Code Template tab, select the C# language. Copy the template code from here but feel free to customize it as you like. 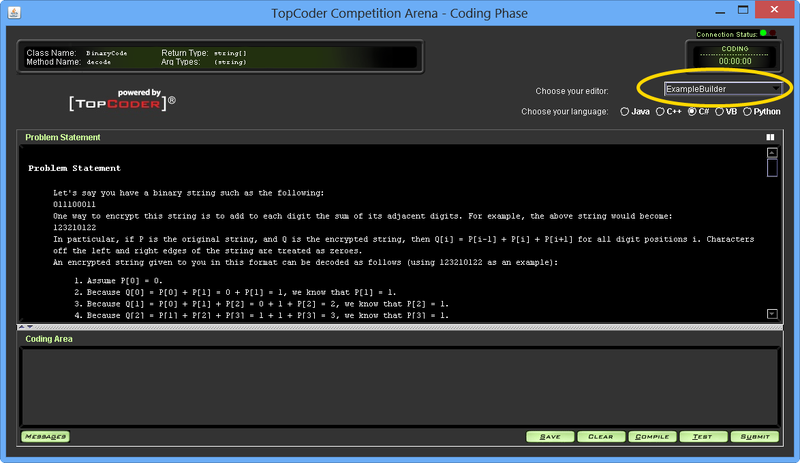 Now you have everything set up and you are ready to code. Open one of the past SRM: Practise Rooms > SRMs. Select one of the problem. The default editor will launch by default. Make sure that you select C# as your language. 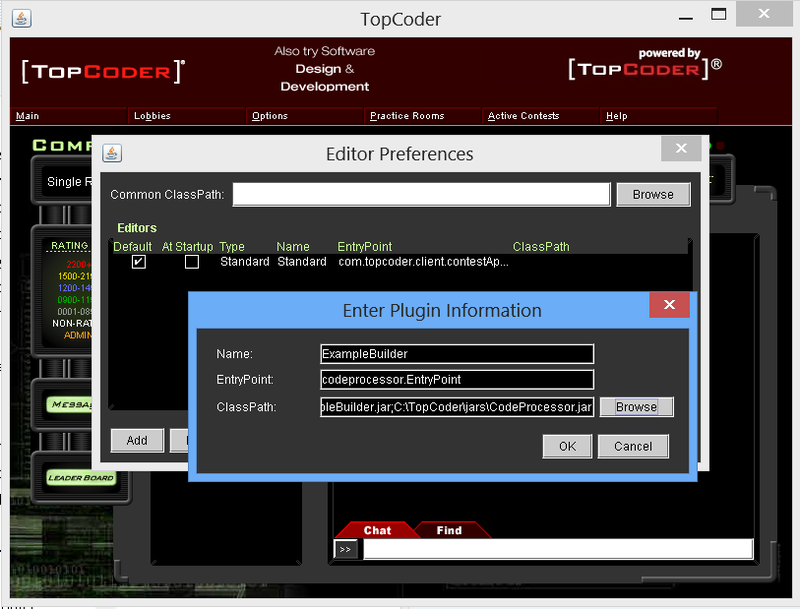 Change your editor to ExampleBuilder. You can open the html file and read the problem statement in your favourite browser (maybe in a separate screen if you have a multi-monitor setup). 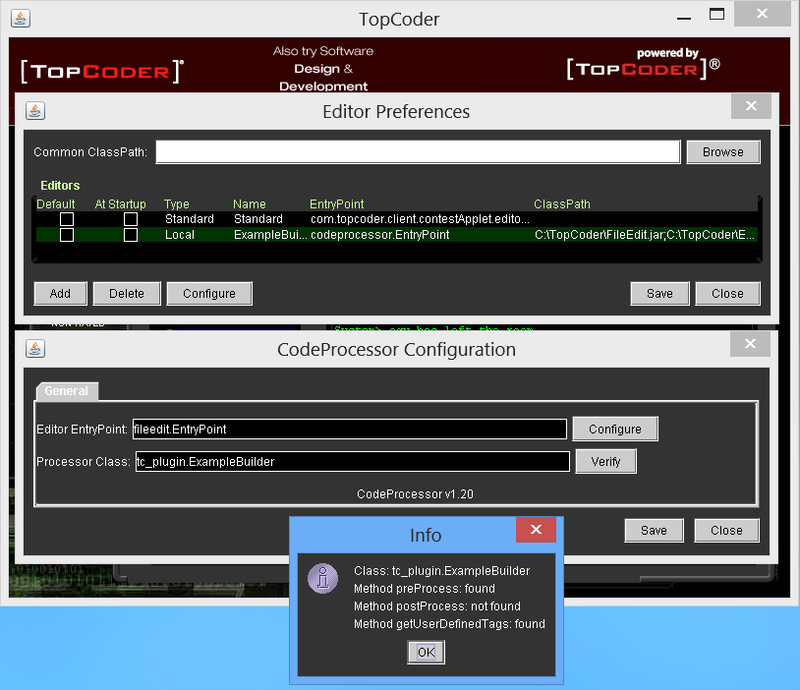 At this point, you can open the TopCoder Visual Studio solution and include the file in the project. You can see that all the examples has been automatically added as tests and the only thing that you need to do is to provide the implementation of the algorithm in the method. 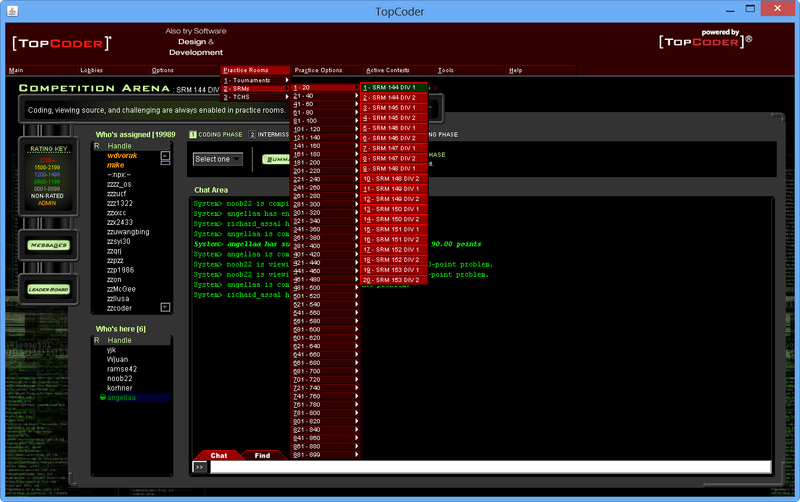 You can see the results of the tests simply running the project with F5. 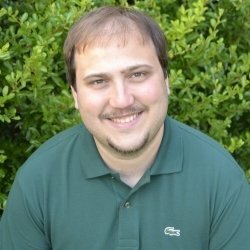 How do you actually submit your code? 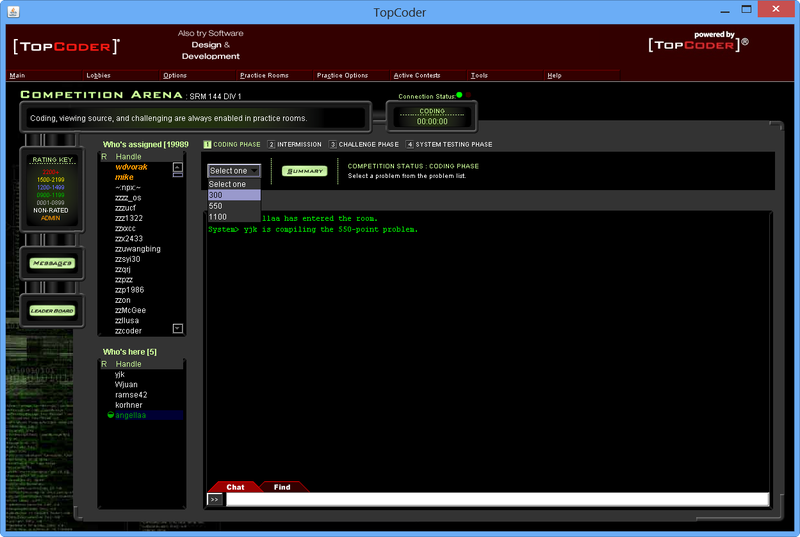 Click Compile and the source code will be automatically copied into the arena. 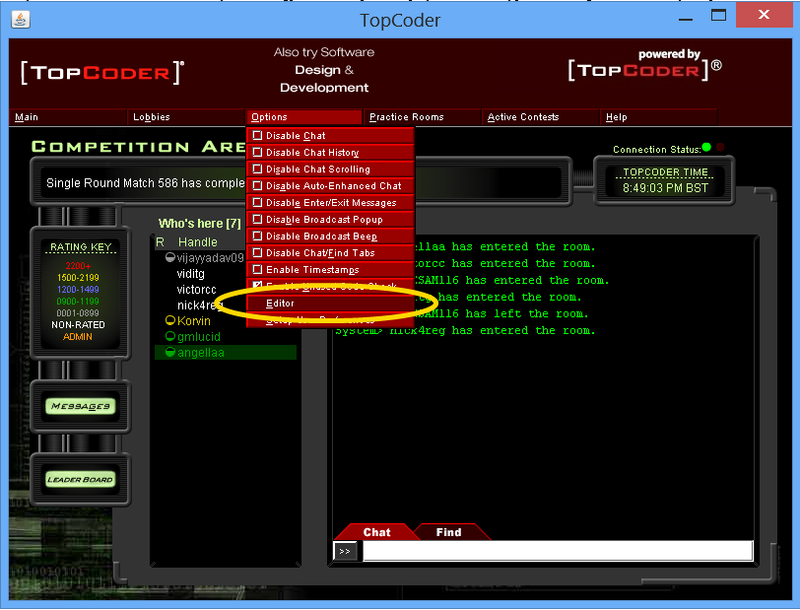 To summarize, once you setup your development machine like I explained in this post you will be able to open any TopCoder problem, start coding your algorithm immediately and have a lot of fun. During a competition, this technique can also save you a lot of time and increase the chance of getting an higher score. Thank you very much! Great article. Simple and working! Thanks a lot, you saved me a lot of time! Very cool, it's nice to have intellisense and not have to worry about typos or have to lookup library calls, and debugging is easier too. Exactly what i was hoping to find, thanks! Thank you for your suggesting. I removed the dot.